Refurbished Mitel phones, Systems,Components and Circuit Cards for your new large or small business phone solutions. If your business is in the market for a quality refurbished phone system or phones, Mitel network equipment is definitely a solution to your telecommunication set up. At Craig Communications, we offer an affordable phone equipment solution for your company needs. The Latest in Mitel Phone Systems Equipment can be found here at Craig Communications. We’re here to help you find the new or refurbished phones solution to suit your company. We offer most refurbished Mitel phones, including the popular SX50 and the Superset 4025 phones. For your company telecommunications needs, we offer both the SX200 and the Superset 4025 phones as refurbished models. We also offer the 5000 IP Series-letting you capture the intense technological breakthrough in Mitel Networks Voice Over IP phones solution for much less than standard retail prices. As with all of our refurbished products, the Mitel SX50 and the Mitel Superset 4025 phones have been brought back to manufacturers specifications and tested to offer you the highest quality of refurbished phone system equipment possible. Call us today to discuss how Mitel Communications can transform your telecommunications needs today. All refurbished Phones, Systems, Components and Circuit Cards purchased from Craig Communications goes thru a rigorous multi-step refurbishing process that brings each Mitel phone or component back to manufacturers specification and all backed by a one year warranty. If you are searching for refurbished phones or system components, please choose from the list above to go directly to the Mitel phone system of your choice. Once you click on the appropriate link, you will then find many refurbished phones and components to help you get up and running again. If there are particular phones or components that you do not see, please do not hesitate to call one of our sales representatives for assistance. Please have the appropriate phone model number before calling. This will insure faster customer service. For all Mitel phone system inquiries, please call 800-306-3377. Call now. A representative is standing by. Craig Communications sells products for installation by others. We are not an authorized Mitel representative or of any of the manufacturers listed. Craig Communications provides all warranties on new and refurbished phones and products. All trademarks and logos are the property of their respective manufacturers. Dont wait. 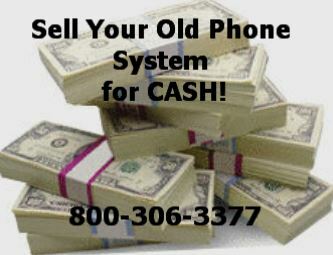 Call today to talk to one of our Mitel Sales Reps regarding Refurbished Mitel Phones. If you are thinking of upgrading, Replacing or repairing your equipment........ Craig Communications is the only call you have to make. 800-306-3377 You cant go wrong with a company that has been in business for over 15 years. All Refurbished Mitel Phones are backed by a ROCK SOLID 1 Year Warranty.